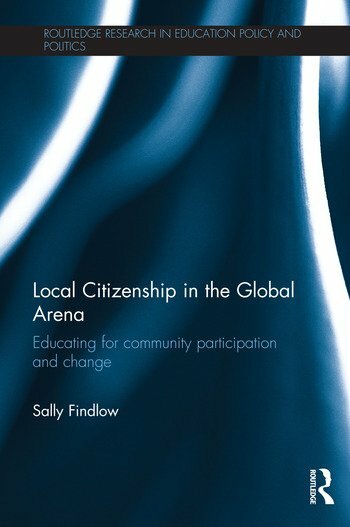 Local Citizenship in the Global Arena proposes a reconsideration of both citizenship and citizenship education, moving away equally from prevailing ‘global citizenship’ and ‘fundamental British values’ approaches towards a curriculum for education that is essentially about creating cosmopolitan, included and inclusive, politically-engaged citizens of communities local, national and global. Viewing education as both problem and solution, Findlow argues that today’s climate of rapid and unpredictable geopolitical and cultural re-scoping requires an approach to citizenship education that both reflects and shapes society, paying attention to relationships between the local and global aspects of political voice, equality and community. Drawing on a range of international examples, she explores the importance and possibilities of a form of education that instead of promoting divisive competition, educates about citizenship in its various forms, and encourages the sorts of open and radical thinking that can help young people cross ideological and physical borders and use their voice in line with their own, and others’, real, long-term interests. Successive chapters develop this argument by critically examining the key elements of citizenship discourses through the interrelated lenses of geopolitical change, nationalism, the competition fetish, critical pedagogy, multiculturalism, protest politics, feminism and ecology, and highlighting ways in which the situationally diverse lived realities of ‘citizenship’ have been mediated by different forms of education. The book draws attention to how we think of education’s place in a world of combined globalisation, localism, anti-state revolt and xenophobia. It will be of key interest to academics, researchers and postgraduate students in the fields of education, political science, philosophy, sociology, social policy, cultural studies and anthropology. Sally Findlow is Senior Lecturer in Education at Keele University, UK. Prior to coming to Keele she had spent her working life (and some studying life) in Egypt, Kuwait, Bahrain and the United Arab Emirates.